CMG Electric Inc. - We are dedicated to customer satisfaction, quality service, and competitive pricing. 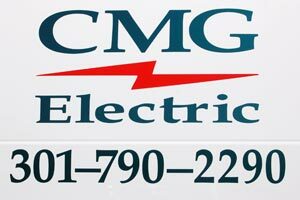 CMG Electric Inc. is a growing electrical contracting business located at 222 East Oak Ridge Drive, Suite 100, Hagerstown, MD 21740. We have been in business since 2003 doing quality commercial and residential projects in Maryland and Pennsylvania. Our past projects range from custom home wiring to tenant fit outs and medical centers. We are licensed, bondable, and have electricians with up to 32 years experience in the electrical field. We can be contacted by phone at (301) 790-2290 or fax at (301) 790-2253 for all your electrical needs. Mid Atlantic Solutions provides Granite, Zodiaq®, Silestone®, CaesarStone®, and Marble for the entire Mid-Atlantic Region. With over 30 years combined experience in the Kitchen & Bath Industry we understand the importance of quality, service, and affordability. Our unique ability to provide such a wide variety of materials allows us to truly be a "one stop shop" for all your solid surface needs. Our goal is not just to be a resource, but to be a partner with our customer. We supply countertops for kitchens, baths, wet bars, and outdoor grills. We also provide solid surface for fireplace surrounds, tub surrounds, and table tops. If you need solid surface, we have the solution.